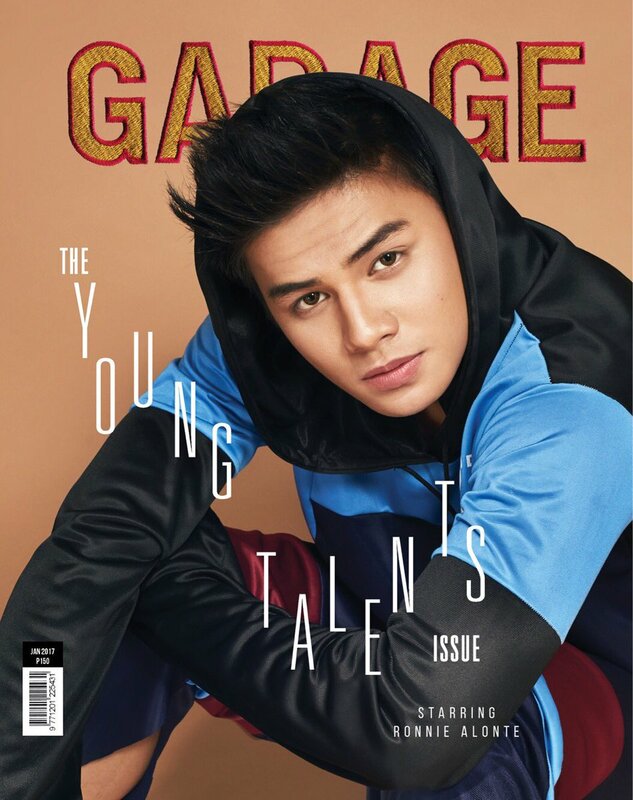 Hashtags member and now most promising Kapamilya actor Ronnie Alonte is featured in the cover of the Garage Magazine January 2017 issue dubbed as The Young Talents Issue. Ronnie is one of the two cover guys of the said magazine that comes in two version this January. The other cover boy is Marco Gumabao which we already featured in the previous post. Ronnie is too blessed at the end of 2016 and at the start of 2017. He starred as the leading man of two MMFF 2016 movie entries namely "Seklusyon" and "Vince and Kath and James." And he is also part of the newest Primetime Bida teleserye "A Love to Last" which star Bea Alonzo, Iza Calzado, and Ian Veneracion.